As a business or commercial property owner, worrying about snow and ice management is likely on the end of your master work list. There are, after all, more pressing matters for you to tend to on a daily basis. For some business owners, managing snow and ice is only a pressing matter for a few months out of the year. But it’s during those few months that their worry should be at its highest. The day that they wake up to 6 inches of snow, and they have no way of removing it, they’ll wish they had planned better. We recommend not being like those unwitting business or property owners. Instead, take an active role, and put a plan in place before winter weather strikes. Trust us, you’ll be happy that you did. 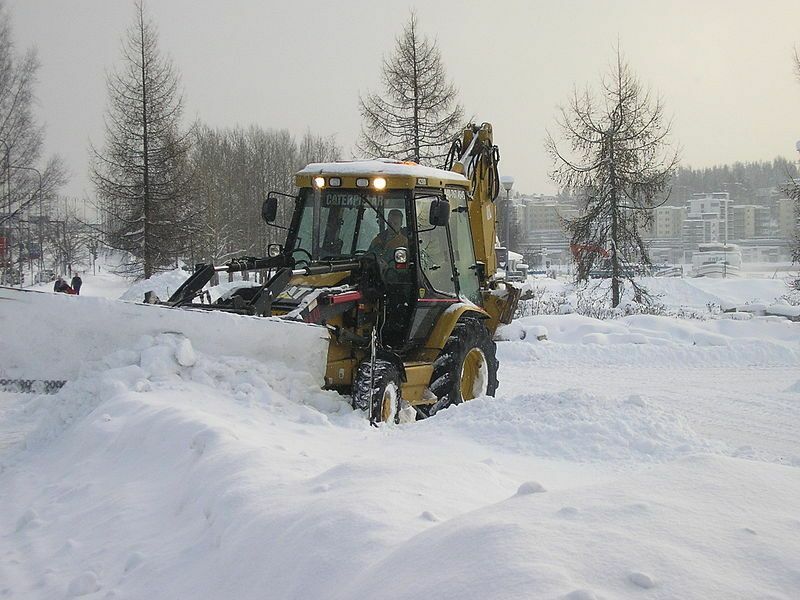 Here are 10 reasons to hire and rely on a snow and ice management company this winter. 1. Dependability: Snow today, gone tomorrow. When you put your trust into a snow and ice removal contractor, your worries melt away. A company that you can trust, built on service and integrity, helps you rest easy when it snows. It’s service you can rely on. 2. Health: Snow and ice removal is back-breaking work if you try to do it yourself, even if your property has just a walkway. If you are attempting to remove snow and ice from an entire lot, you better own a truck. Don’t own a truck? Hire a professional to do it for you and protect your health. 3. Prioritization: Not worried about half of an inch of snow? Then forget it. Only interested in snow removal if it reaches 2 inches? We can do that. When you hire a snow removal contractor to handle your Maryland, Virginia, and Washington DC area business or commercial property, you decide when we help you. 4. Liability: An excess amount of snow to contend with is a dangerous encounter for the average person. When you leave your lot or entrance uncleared, you run the risk of someone falling and filing a lawsuit. Hiring a snow and ice removal management company to remove the snow from your property means less worry for you, and no fear of lawsuits. 5. Experience: There are a lot of companies that offer snow removal service, so it’s no wonder that one bad experience can put you off. But when you hire an expert with years of experience removing snow and ice and working with property owners, you will wonder why you waited. 6. Protection: Concrete and blacktop might appear as tough as nails, but upon closer inspection, you’ll discover tiny pores dotting its surface. These pores absorb water, and when the water freezes, it can damage the surface. A professional snow and ice management company can cater to your needs, and use calcium chloride instead of rock salt, saving you money in the long-term. 7. Equipment: The average property owner might have a few items to manage snow and ice, but these things really only work when you have time and can actually manage the workload. When you hire a snow and ice management contractor, they’ll come with all the equipment needed to manage even the biggest job. 8. Promptness: If there is snow in the forecast, we’ll know it before you do. It is our business to stay on top of any major weather events. It’s this promptness that you can rely on when snow hits our area. 9. Time: For the most money-conscious property owners, the concept of hiring someone to do a job doesn’t sound like savings when they can do it themselves. But trust us when we say, the time you save not managing what Mother Nature throws at us is time you can spend elsewhere. That’s money in the bank. 10. Tranquility: Knowing that someone who you can trust is on the job when the weather acts up, is peace of mind that money can’t buy. Hire a snow and ice management company this season and experience a worry-free winter. Ready to talk more about how we can help you manage the snow and ice this winter? Please contact us today to discuss our rates.